What Sizes Do Electric Pressure Cookers Come In? I bet you’re asking yourself, which Instant Pot is right for me? 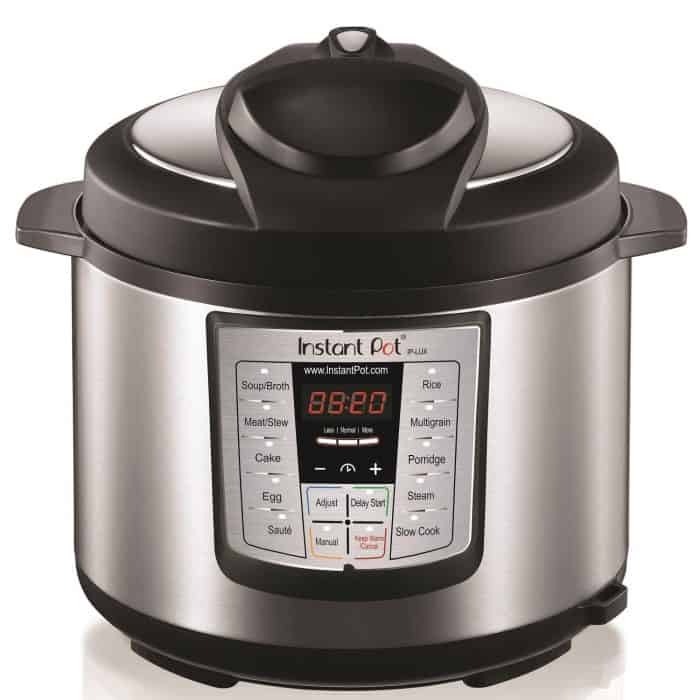 You can get Instant Pot Brand in 3, 6, or 8 quart sizes. Other electric pressure cookers come in those sizes and up to 12 quarts! If you’re a family of 2 or 3 you can get a 3 quart or a 6 quart. A household of 4 would do great in a 6 quart and if you are 8 or more I’d think about the 8 quart. In addition to the original 6-quart 7 in 1 Instant Pot, there is a smaller 3-quart, a larger 8-quart, and the latest 6-quart 10 in 1. Below I’ll describe more about the different Instant Pots so you can pick one that’s a fit for you. There are other brands of multi-cookers and you can scroll all the way to the bottom of this page to get more info on a few of them. 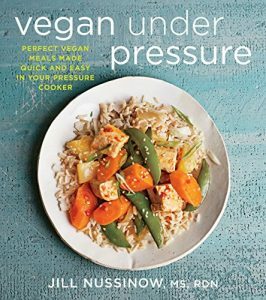 The most important thing to look for is a pressure cooker function as all appliances called multi-cookers don’t have a pressure cooker setting. 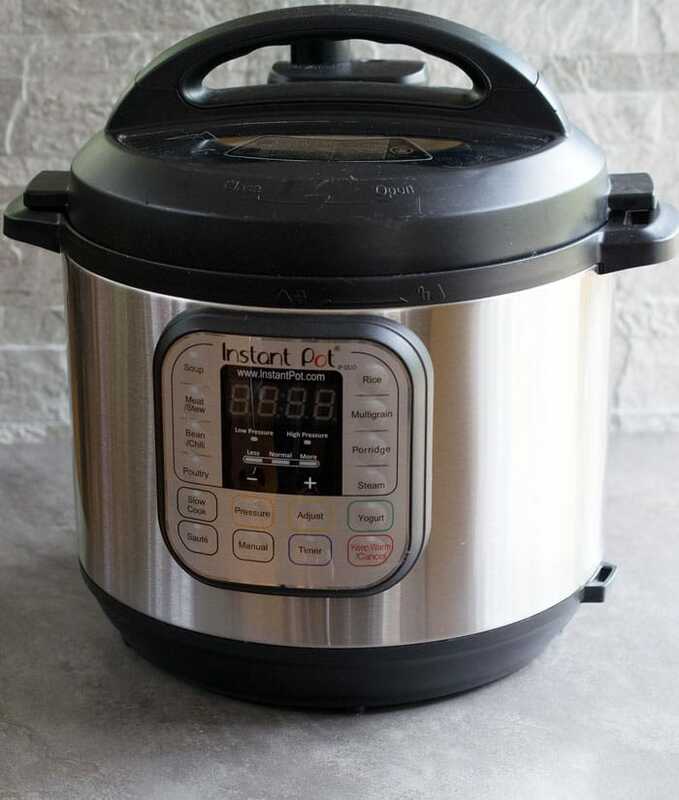 In the photo above is an older Instant Pot model in the Lux Series. They come in 3, 6, or 8 quart sizes just like the later models. It is less expensive than the latest models so if price is your guide this model may be for you. 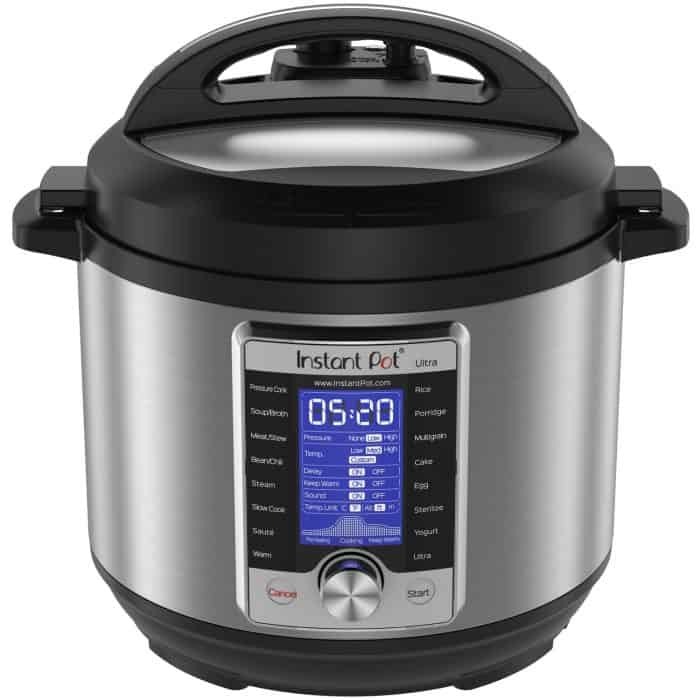 If you need all the things the Lux doesn’t have then move on to the Instant Pot DUO model. Above is the Instant Pot DUO Series and it comes in 3, 6, and 8 quart versions. 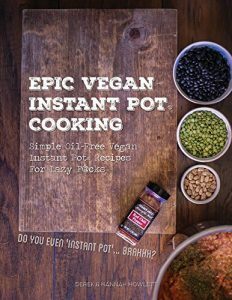 The 6-quart from this line is what I used for the recipes in The Ultimate Vegan Cookbook for Your Instant Pot. It has a yogurt setting, lid holder, low and high pressure and does everything that I need. Some of the newer models have more bells and whistles, so if one catches your eye you may end up shelling out more cash for yours. 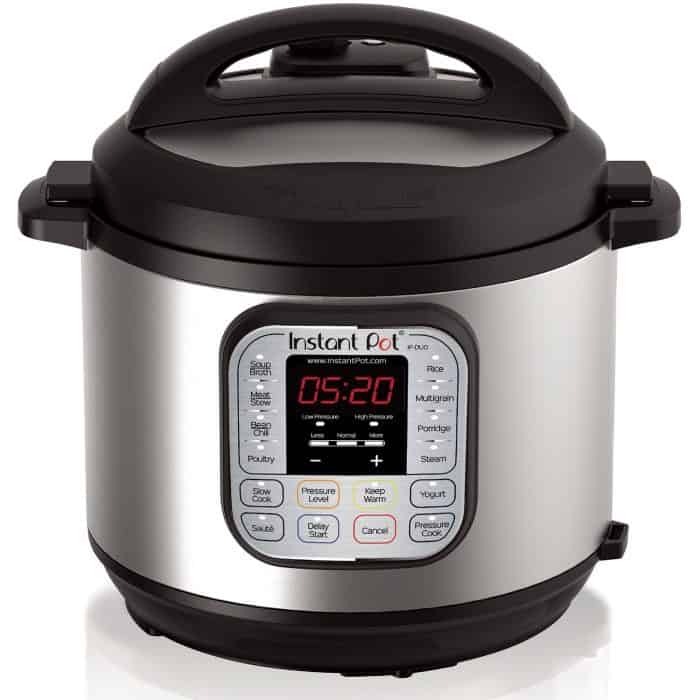 The Instant Pot Ultra is the latest and greatest model at the time of writing this post – there will be more coming. The Ultra has a new digital interface and altitude adjustment, cooking indicator, and a steam release reset button, plus custom programming. 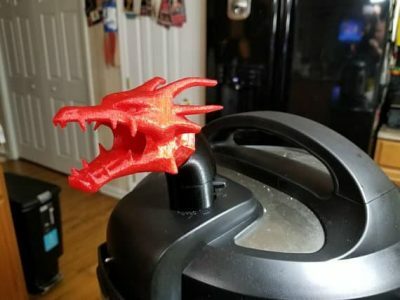 I recommend the Ultra for people cooking at high altitudes to get your timing just right and for those of you who like to have the latest gadget. 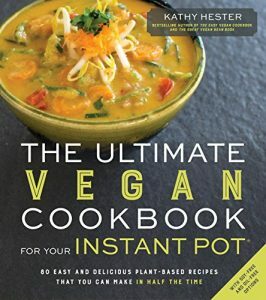 Are There Other Brands of Multi-cookers Similar to Instant Pot? Indeed there are! In fact some were around before Instant Pots even came out. You’ll hear all of them called multicookers, but as long as they have a pressure cooker setting they will work for most of my recipes. 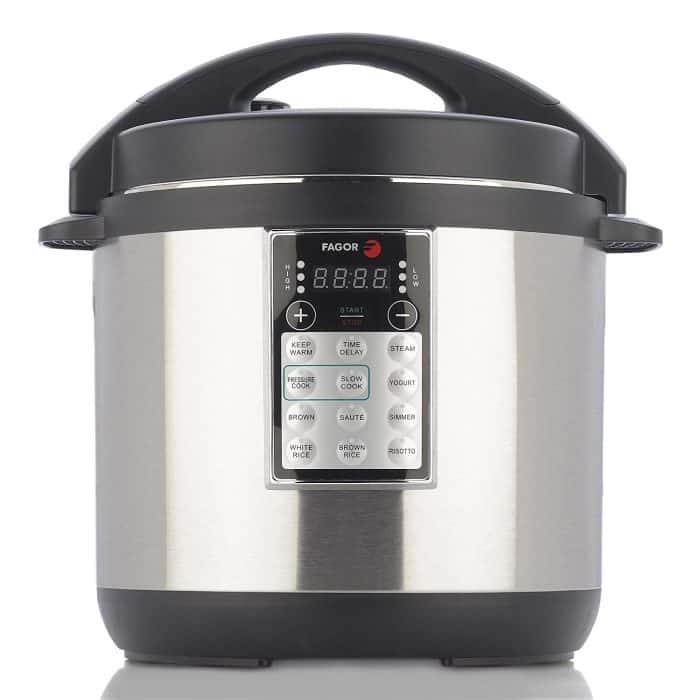 When you’re asking which Instant Pot is right for me, remember that you might end up with a different brand electric pressure cooker. Again, the most important thing to look for is a pressure cooker function as all appliances called multi-cookers don’t have a pressure cooker setting. Next be sure to read the reviews on Amazon on any new-to-you brands to make sure they are a good choice. I will be adding some more in the future, but there are over a dozen brands out now, so it’s impossible for me to try them all! The Fagor brand of multi-cookers came out before the Instant Pot and has a large group of fans. They also have a line of stove-top pressure cookers that are popular. Just like the Instant Pots you want to check the buttons on the model you’re looking at – especially if you want to make yogurt. Older models may not have everything. 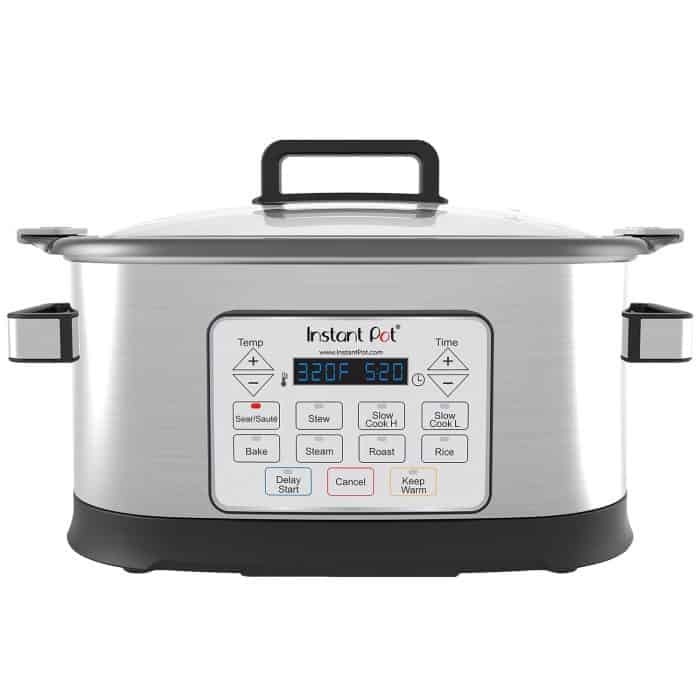 The Fagors have a ceramic coated pot instead of Instant Pot’s stainless steel. I know this is a deciding factor for many of you. 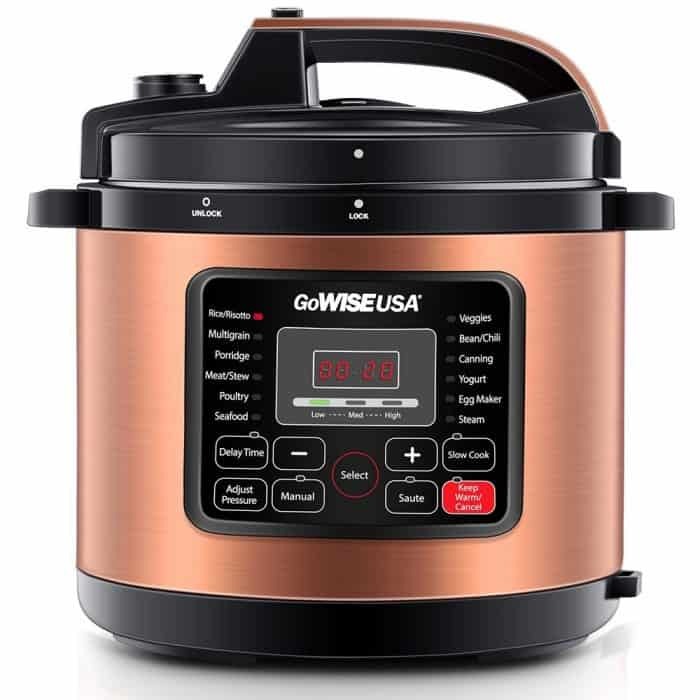 There’s a new Go Wise electric pressure cooker. They comes in 6, 8, or 10 quart sizes and have a nonstick coated pot. They also come with a stainless steel rack and steamer. There are also older models, so again check the buttons out and read carefully to make sure you’re getting what you need. Multicookers with No Pressure Cooker Setting and One to NEVER Buy! Below is a kind of multi-cooker that people often mistakenly buy and a Ninja Slow Cooker is the same. It is still called a multi-cooker without a pressure cooker. And most recipes that call for an Instant Pot use the pressure cooker feature. Please note that the Gem model below has been recalled so DO NOT BUY IT!